On April 1st, 2017 my sister-in-law Courtney got the news she was hoping she'd never hear, "they found his body". Sylas tragically lost his daddy that day and Courtney lost the love of her life. Courtney reported Mathew Dahl missing almost a month prior to him being found. For a month she waited and hoped he'd come home to her and their two year old son and their baby due in July. 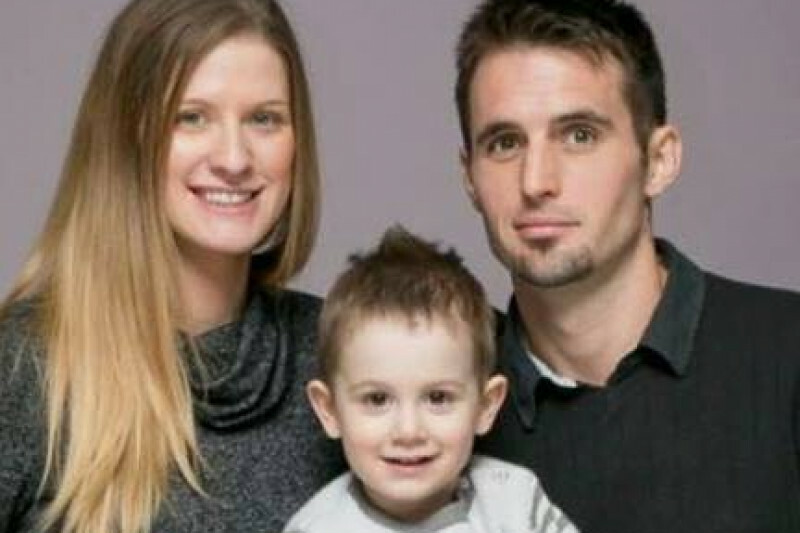 We shared post after post on social media, Mathew's family came down from B.C. to help get the word out by passing around flyers and making an appearance on news stations. Courtney and Mathew were excited about expanding their small family and now Courtney will be raising their two boys without the support of her partner. Mathew was a fantastic dad to Sylas and it breaks my heart that he is gone now knowing he doesn't understand where his daddy went or that he wont get the chance to meet his new son. Due to this tragic loss and the search for Mathew, Courtney hasn't been able to work as her doctor advised her to go on medical leave. So as you can imagine her funds are limited and with going on maternity leave soon as well her funds are further reduced. Even though Courtney may not be asking for help I am reaching out to friends, family and strangers to support this young family and help them cope with the loss of their daddy and partner. My goal is to raise enough money so that Courtney can support her boys and so that she can focus on healing and being strong for hers and Mathews unborn child and Sylas. Hey everyone! We've chosen a date and location for the fundraiser. 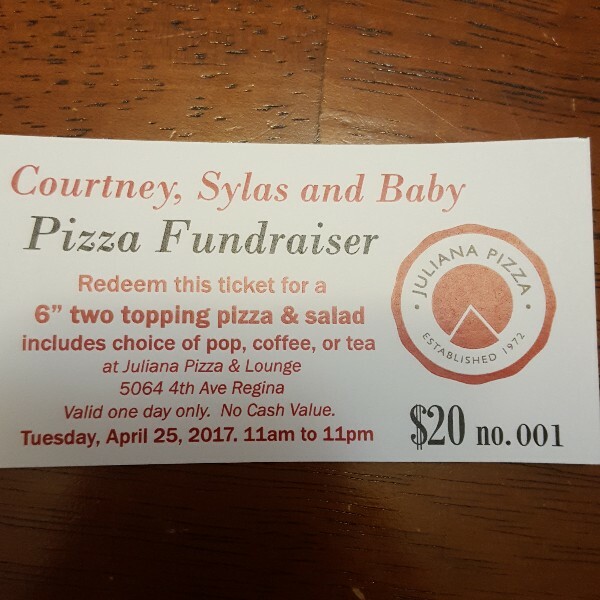 We will be having a pizza night at Juliana pizza on April 25th from 11am -11 pm. We are looking for silent auction items. Please contact me if you have something that can be donated to the silent auction! Thank you so much to everyone that had donated thus far! I'm really blown away by all the love and support friends, family and strangers have provided for courtney and her boys. We will be hosting a pizza night at the end of April and are looking for items to be donated for a silent auction. Please contact me and I would be glad to arrange a pick up time.